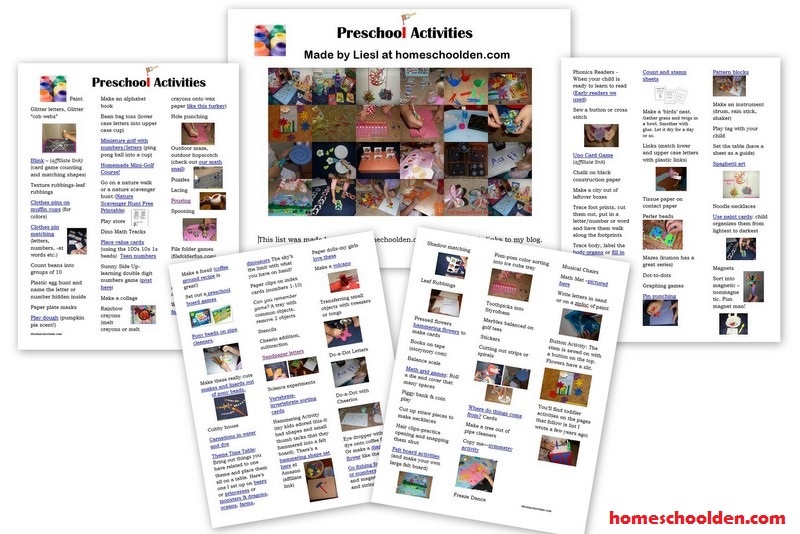 This is a huge, long list of more than 100 different activities that you can do with your 2-5 year olds. 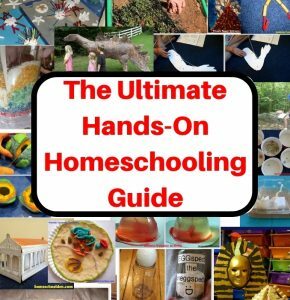 I originally compiled this list when ED was three or so. 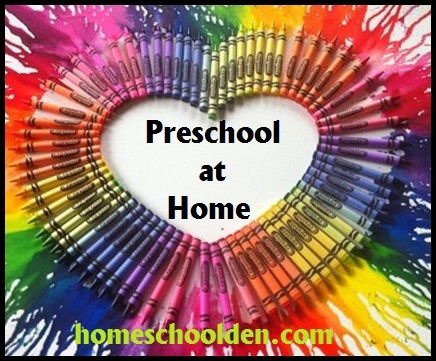 I compiled this list when I was struggling to balance the needs of my preschooler with my older two school-age kids. 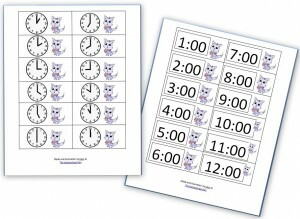 Ultimately I came up with a three-page list of things to do with my preschooler. 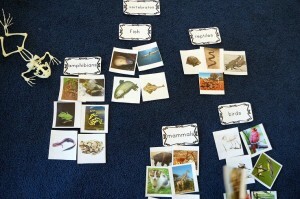 And Planaria (a type of flatworm): Hands-On Invertebrate Fun! 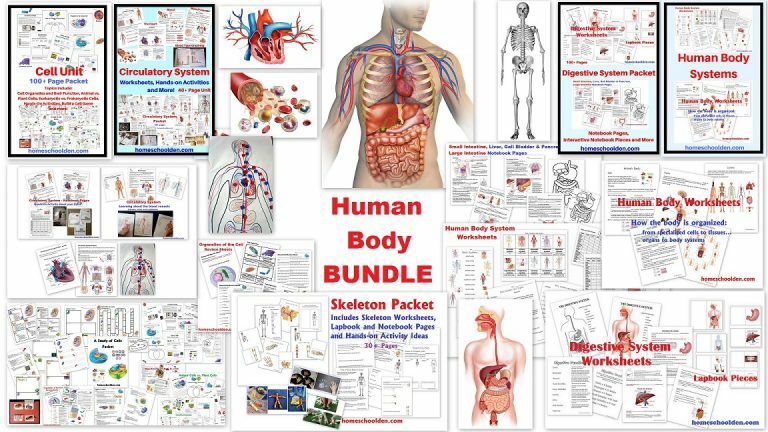 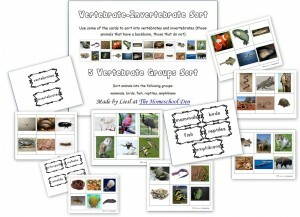 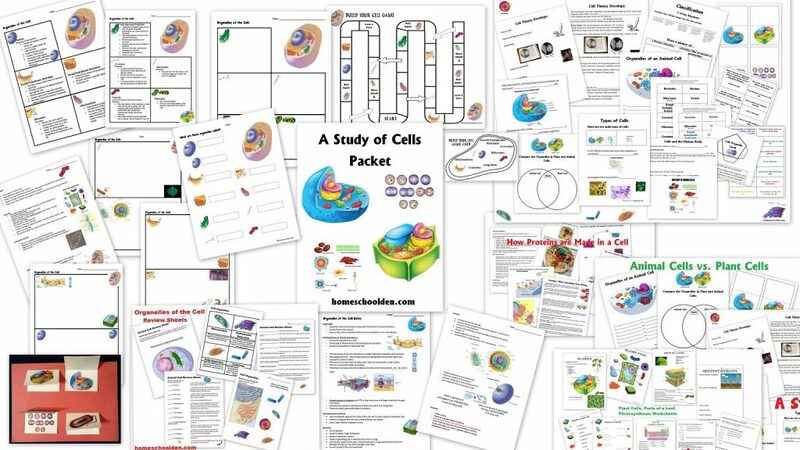 Part II – Planarian – which you can order to study at home. 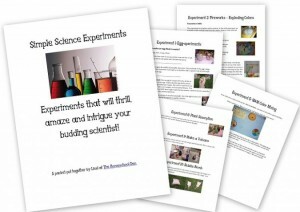 They are easy to care for and are fascinating to study because they regenerate. 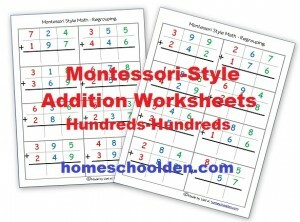 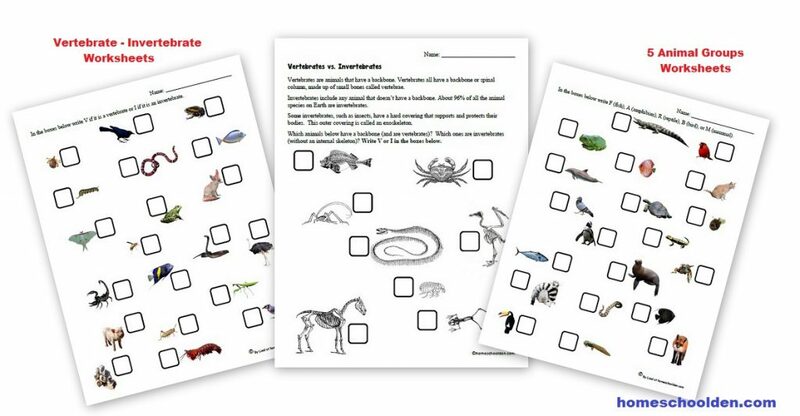 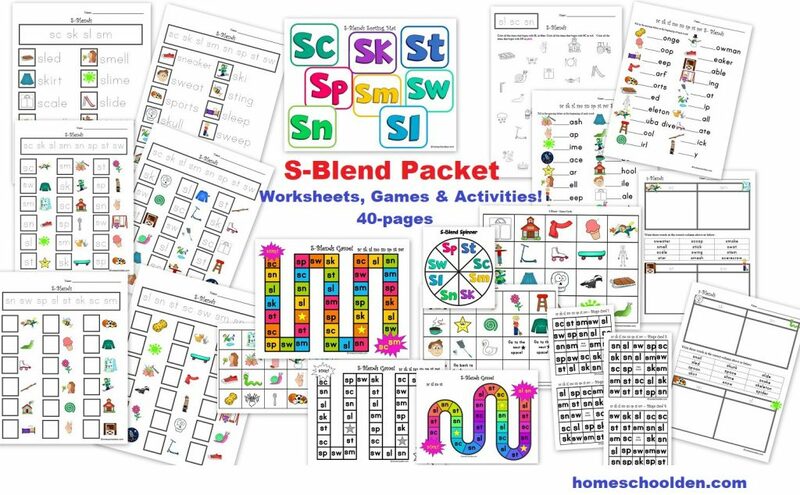 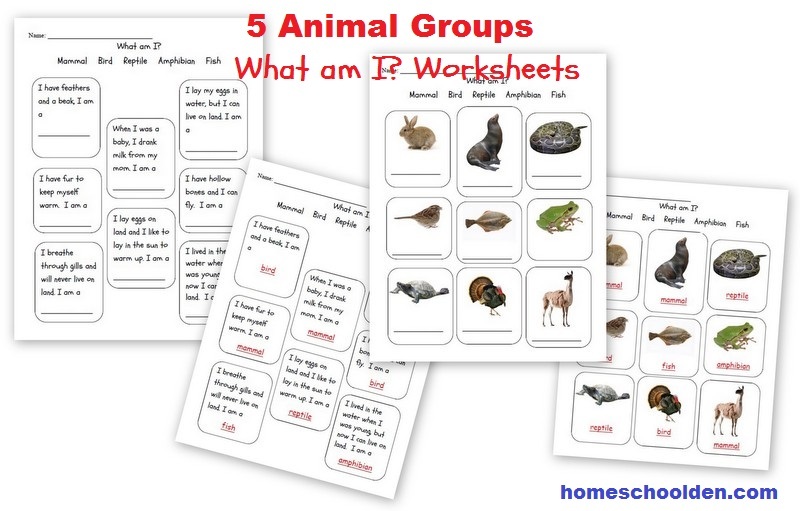 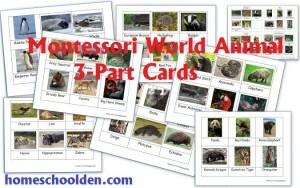 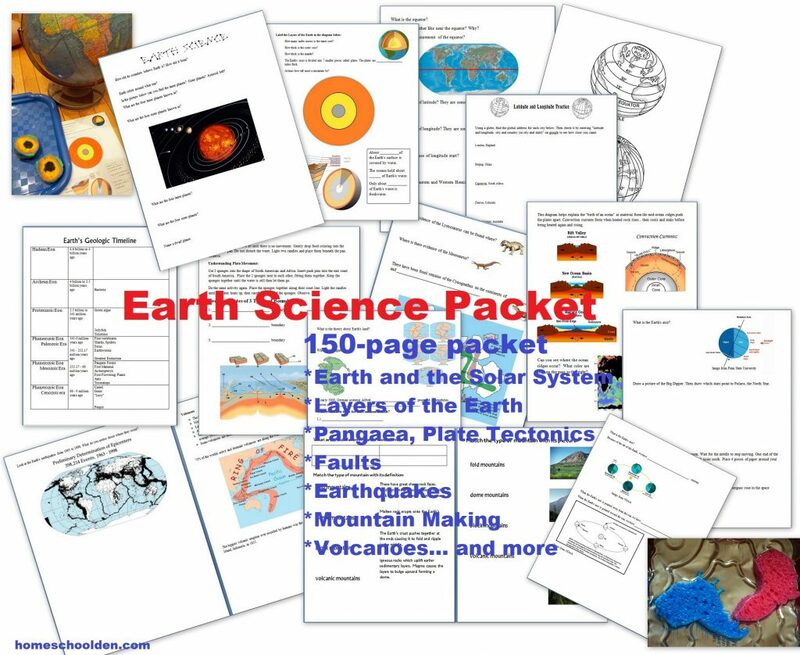 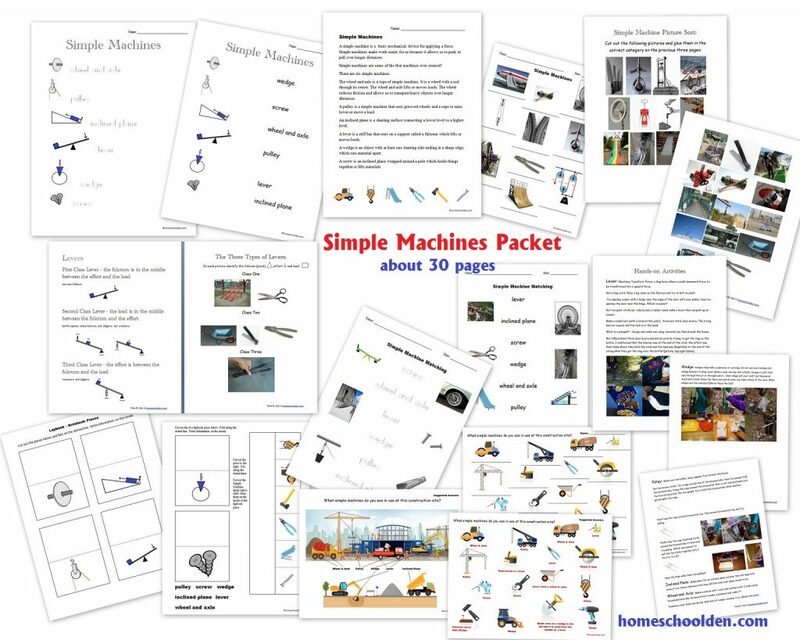 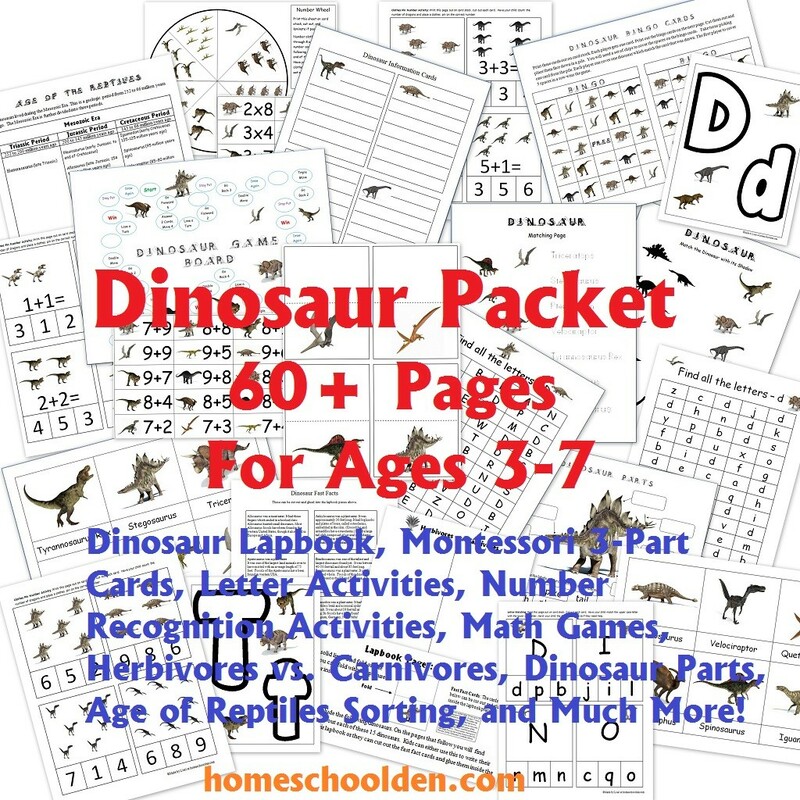 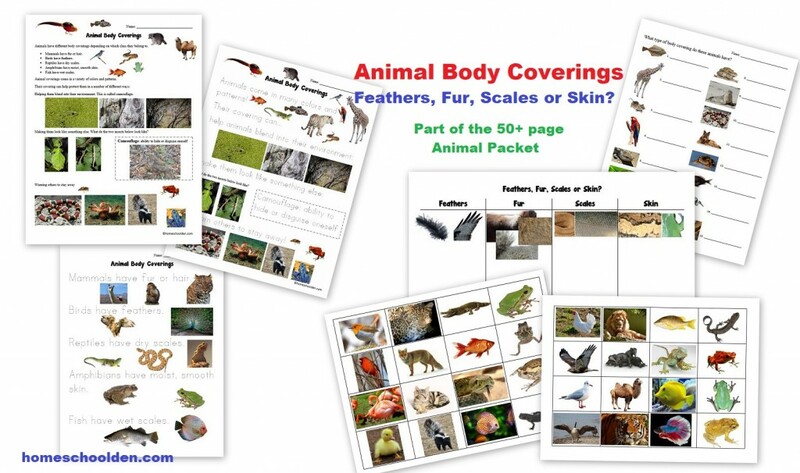 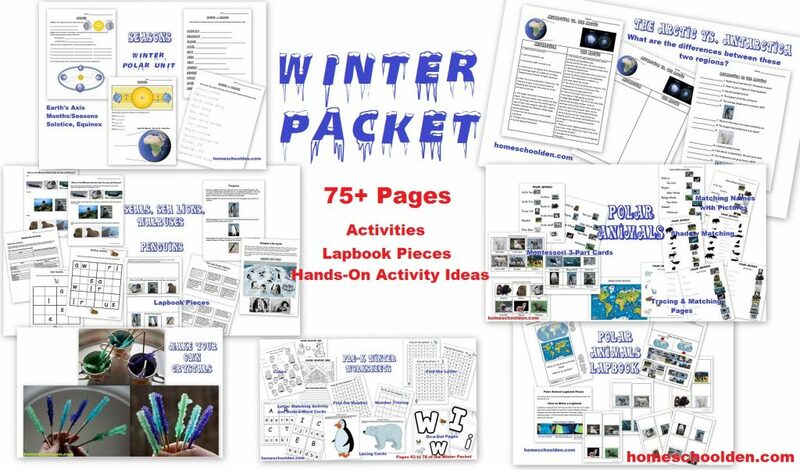 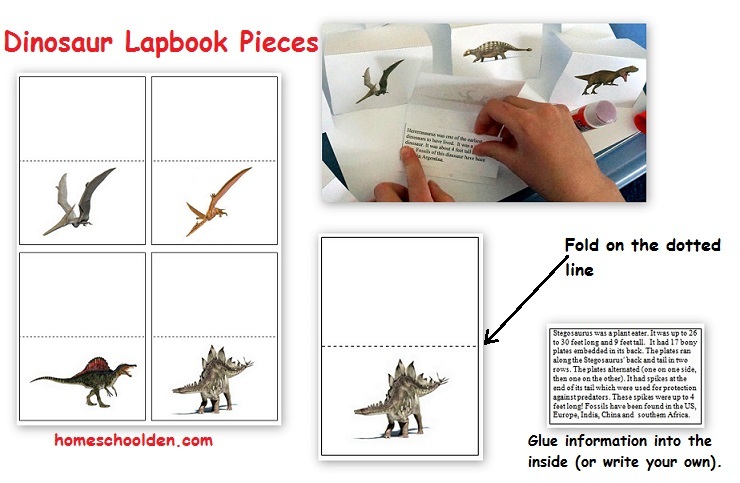 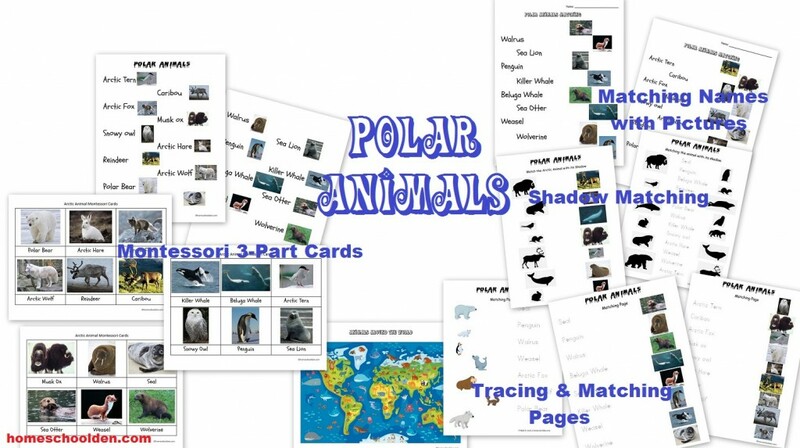 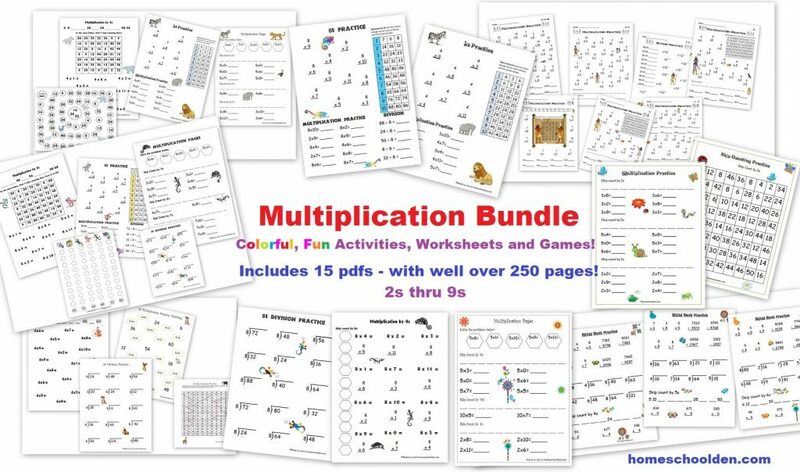 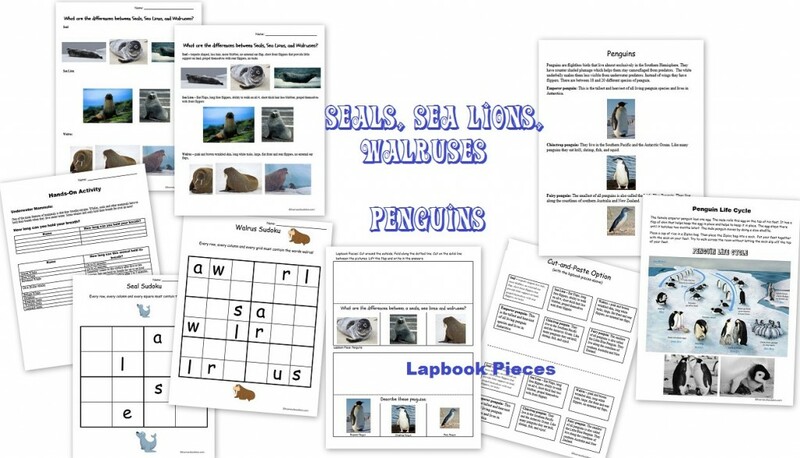 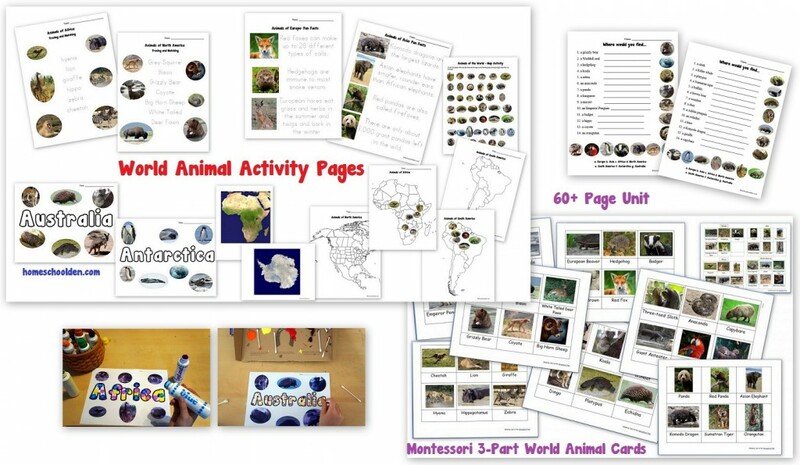 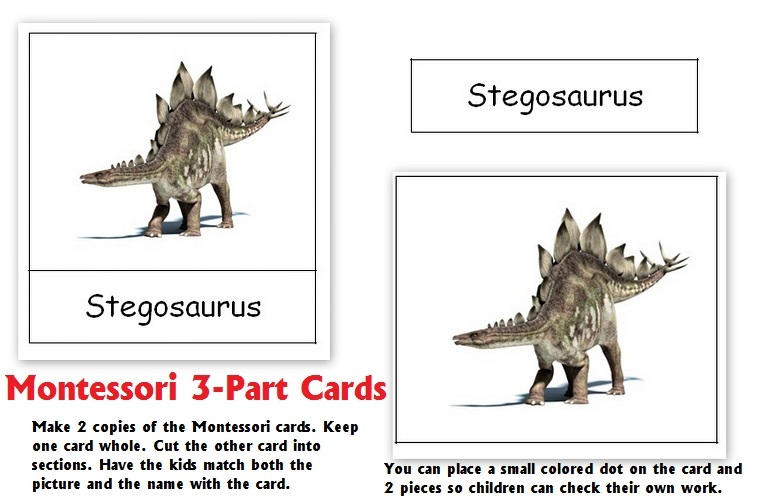 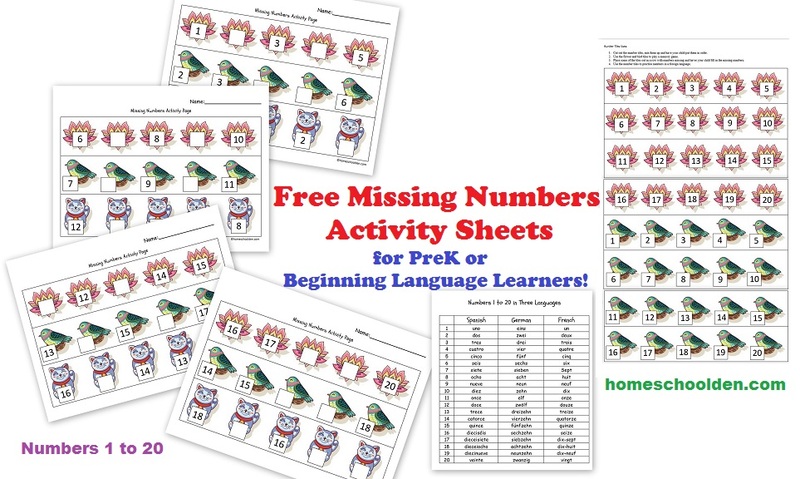 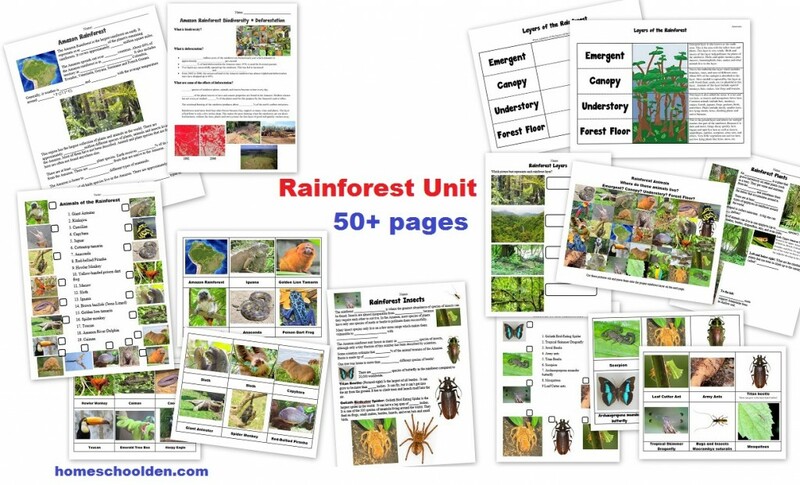 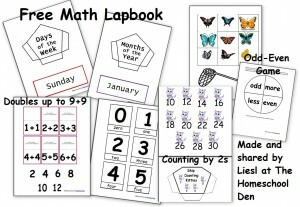 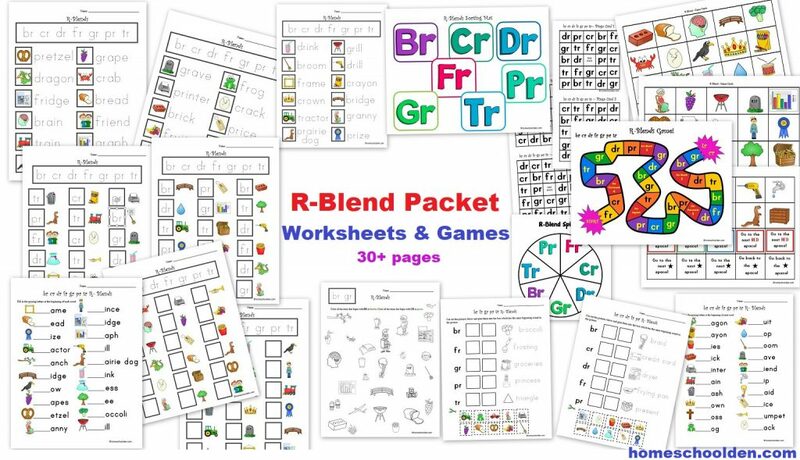 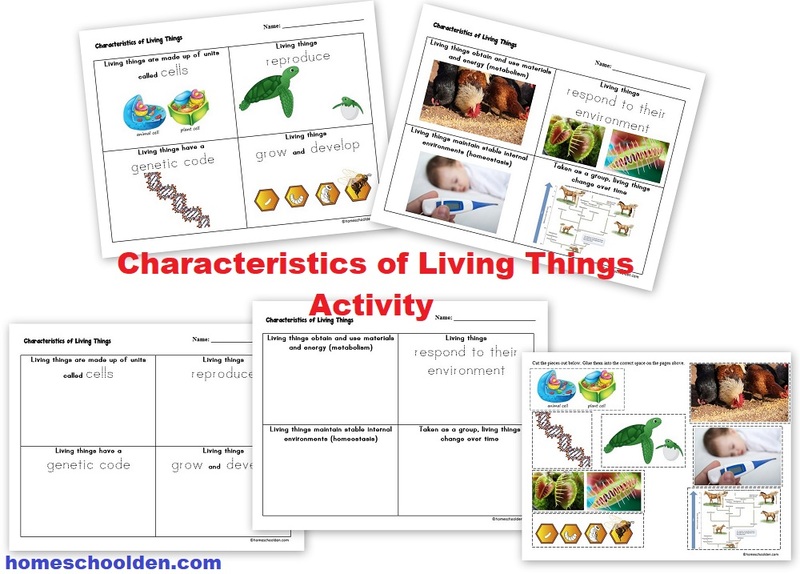 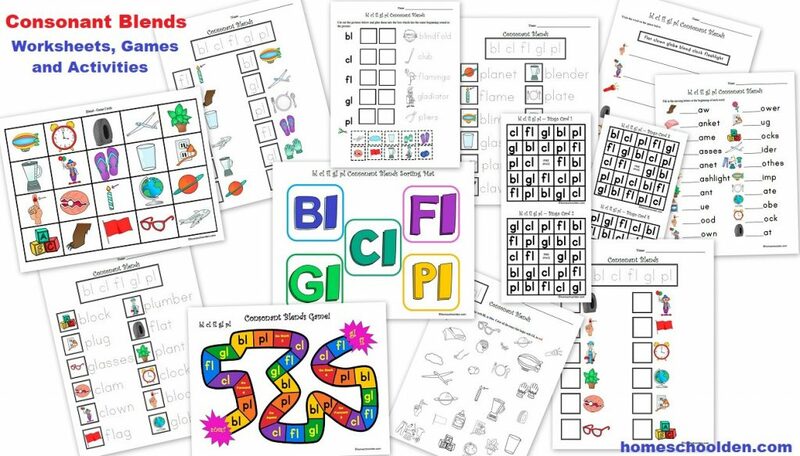 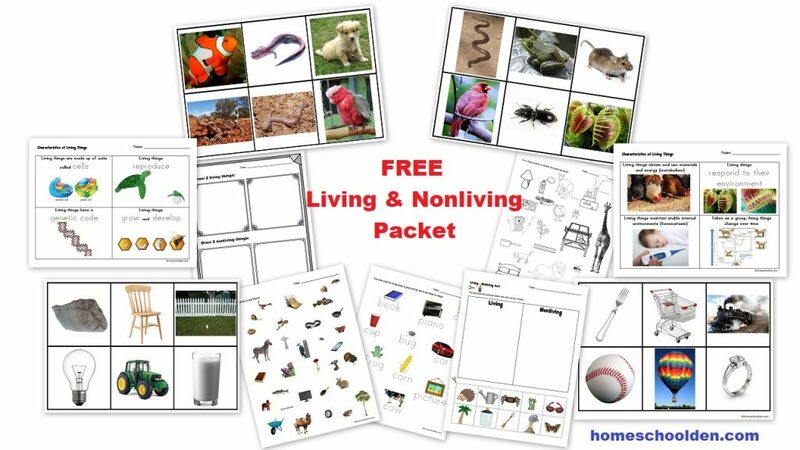 Our 60+ Page Dinosaur Packet (which includes Montessori 3-Part Cards, Letter and Number activities, a Dinosaur Lapbook, board games, addition activities and much more! 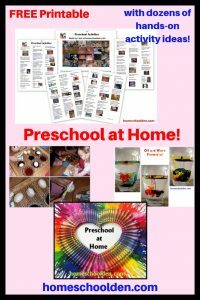 Homeschool Preschool Year in Review which was a recap of many of our preschool activities when ED was 4. 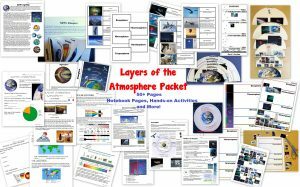 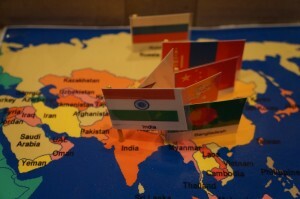 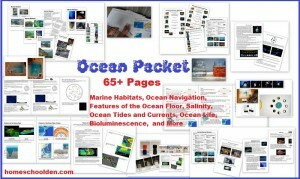 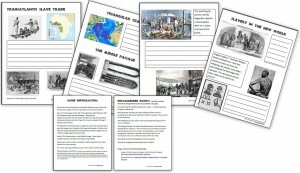 Where I Live Activity Packet! 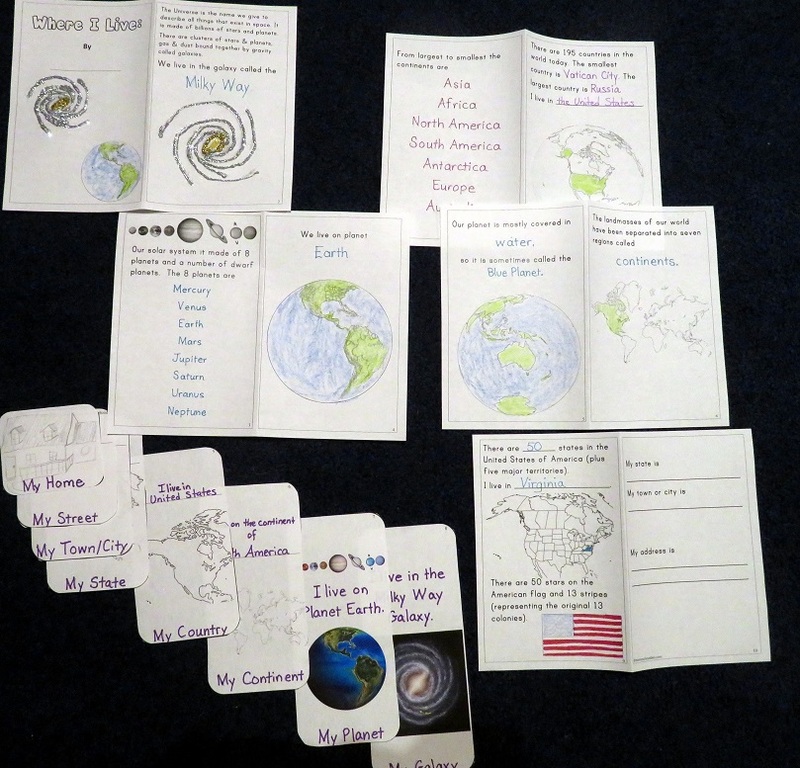 My galaxy, solar system, planet, continent, country, state, town, and home! 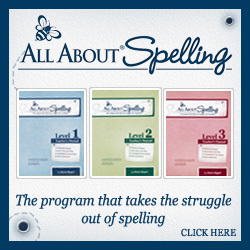 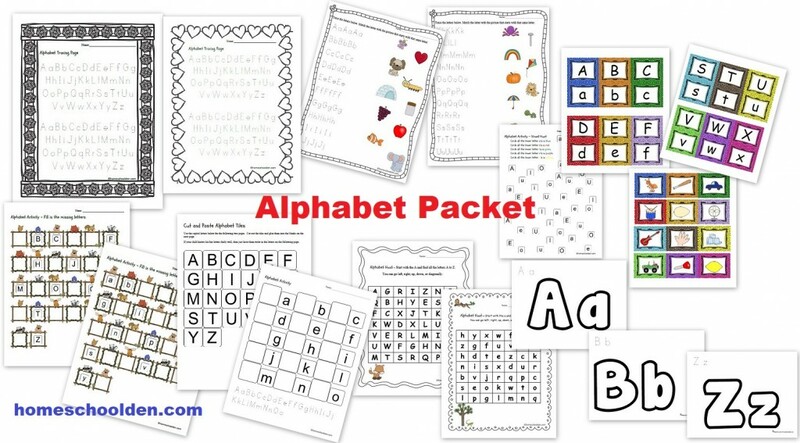 If your child knows their letter sounds, they may be ready to learn to read. 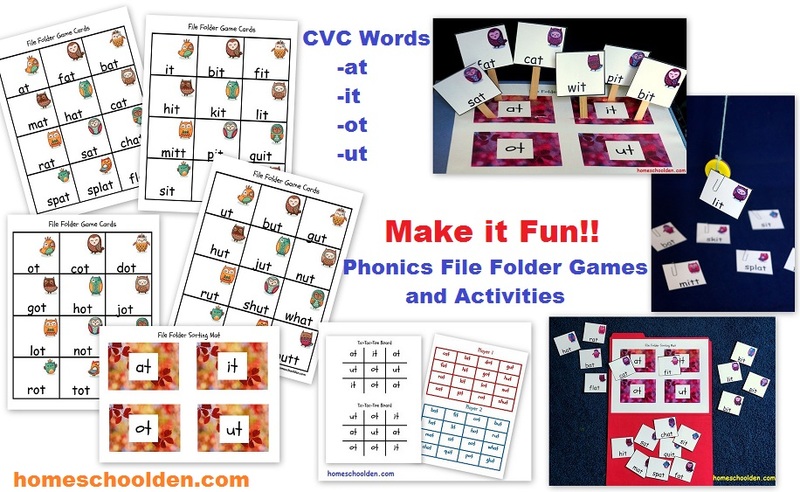 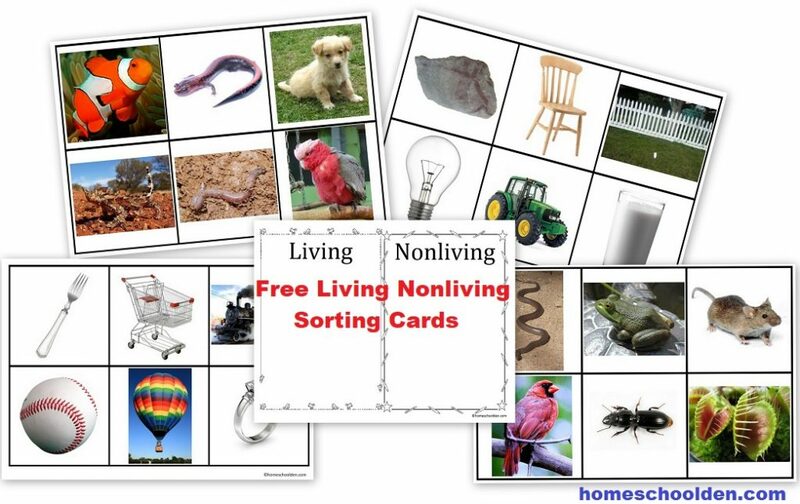 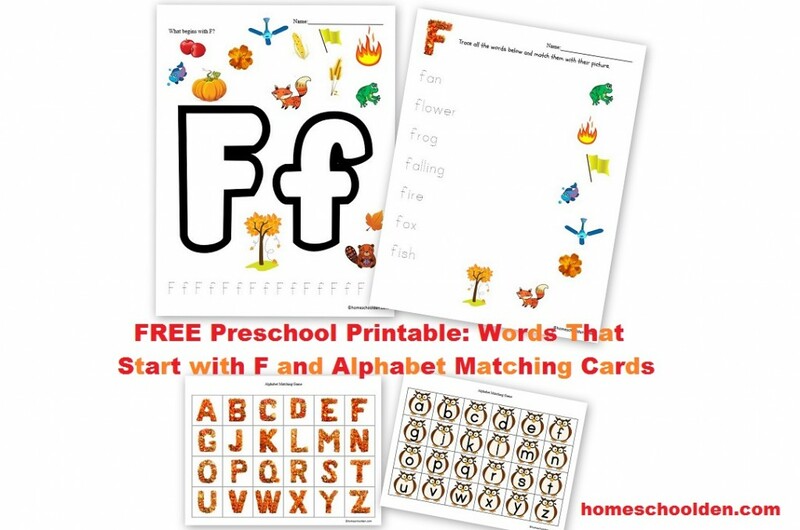 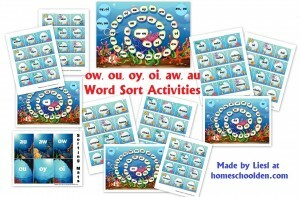 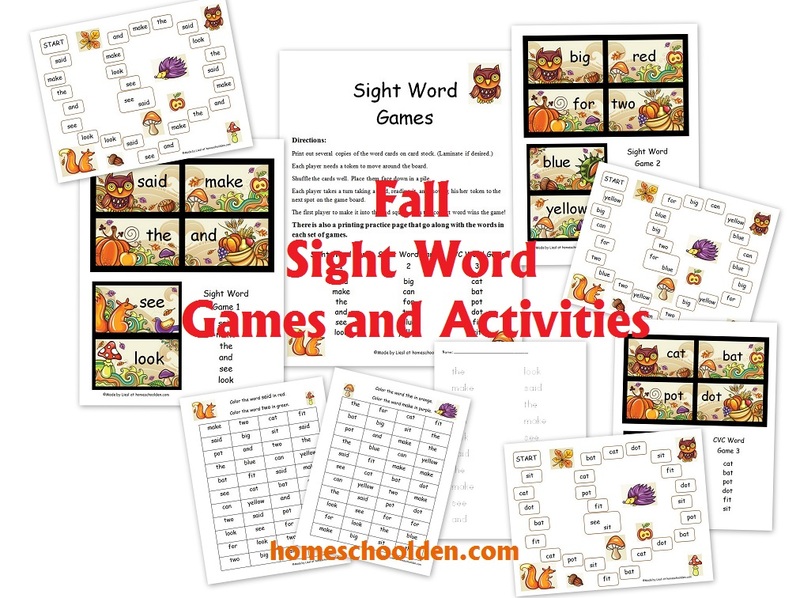 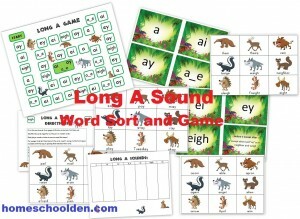 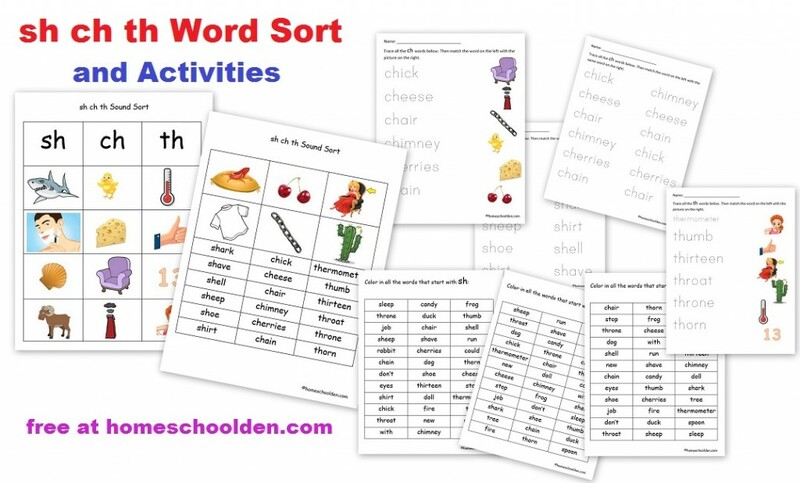 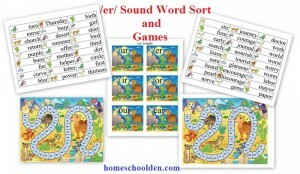 Visit this post, Teach Your Child to Read, for fun ideas that help your child learn to read – phonics games, word matching and more. 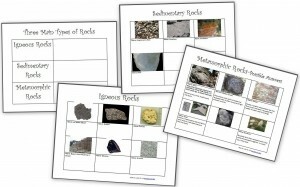 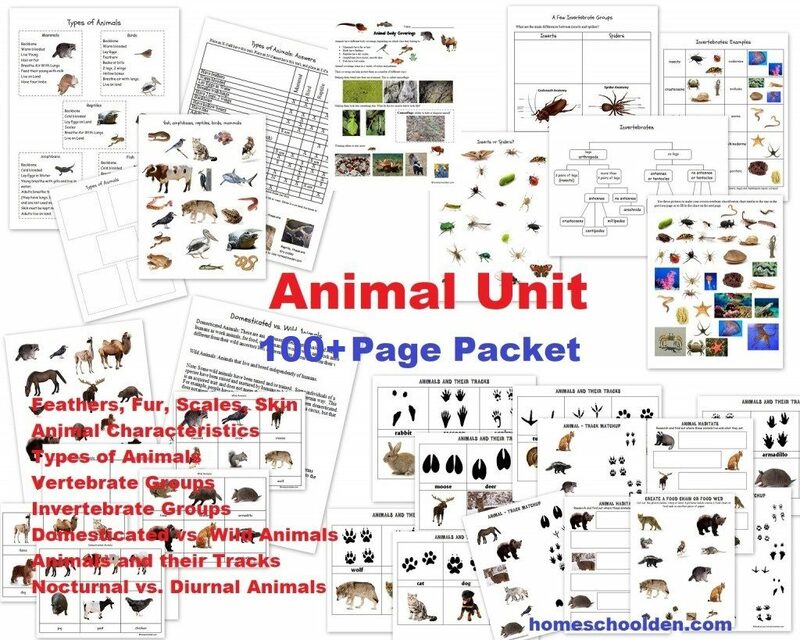 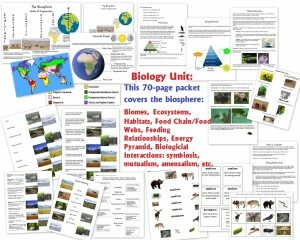 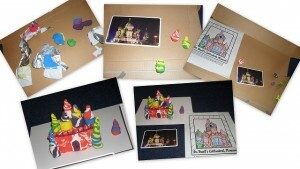 Of course, you can also do various unit studies with your child. 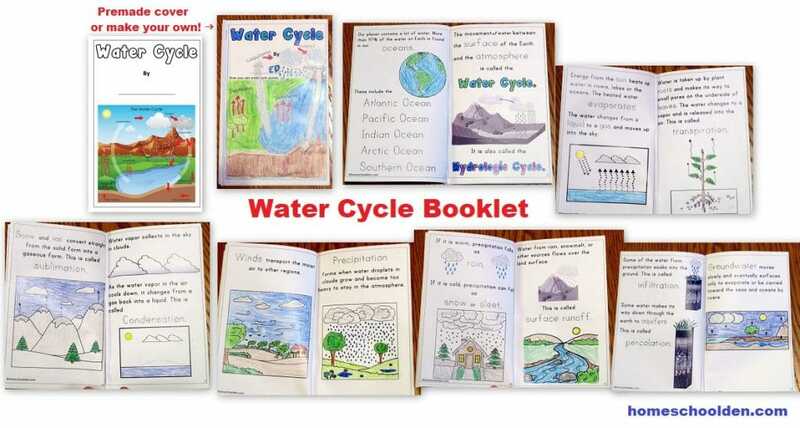 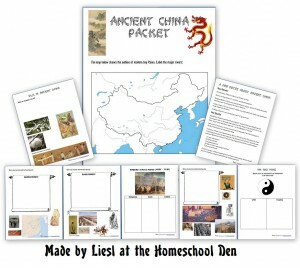 When the kids were little we did units on Ancient Egypt, Ancient Greece and more — including lots of arts and crafts projects. 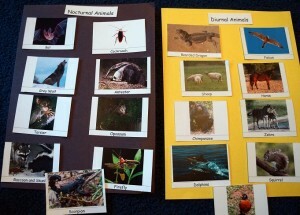 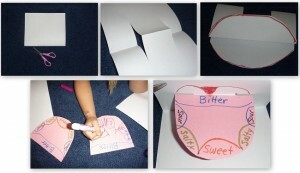 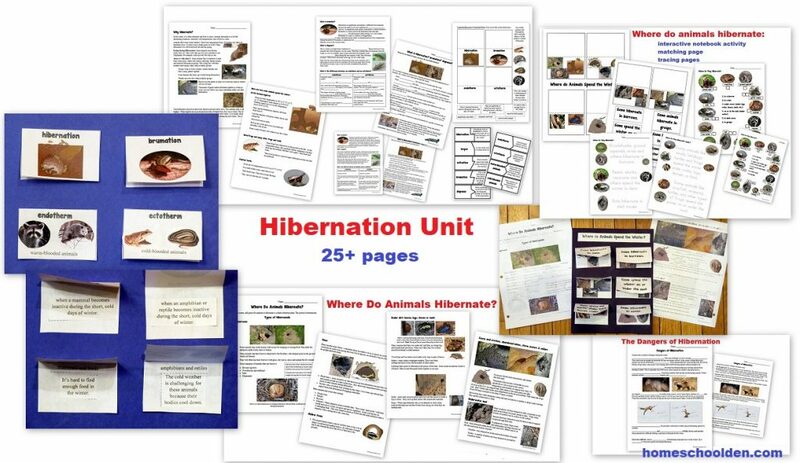 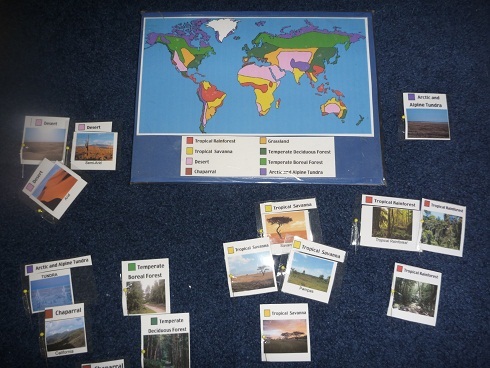 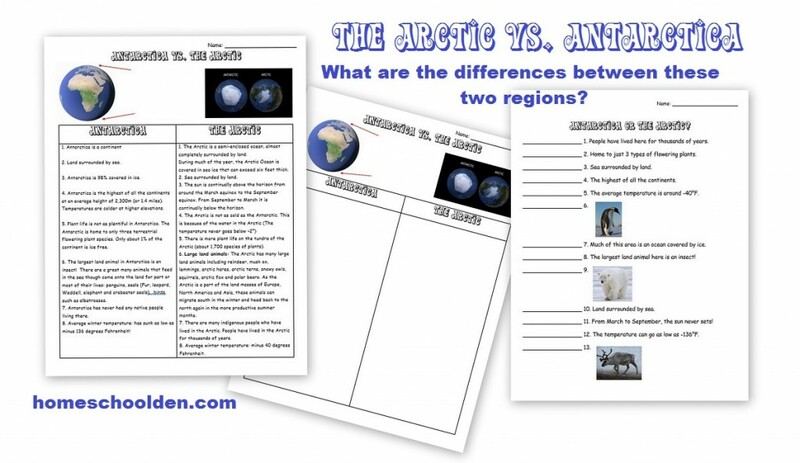 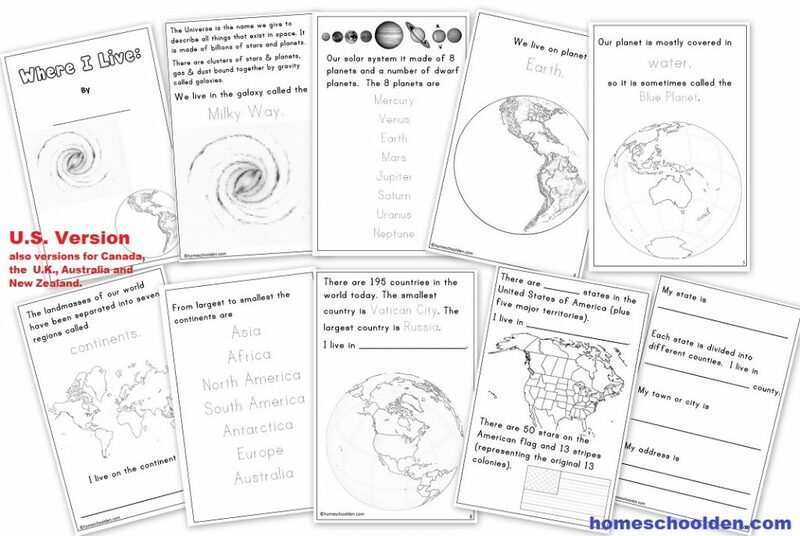 We also did units on the 5 senses, natural disasters and more! 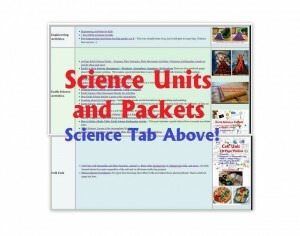 I haven’t included those specific units in this list, but you can look at our CATEGORIES button if you are interested in doing a unit on a specific topic. 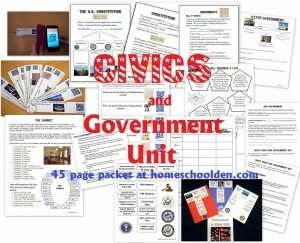 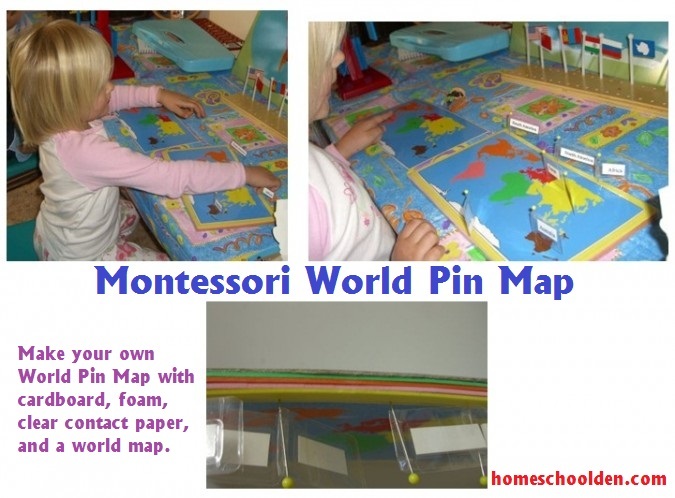 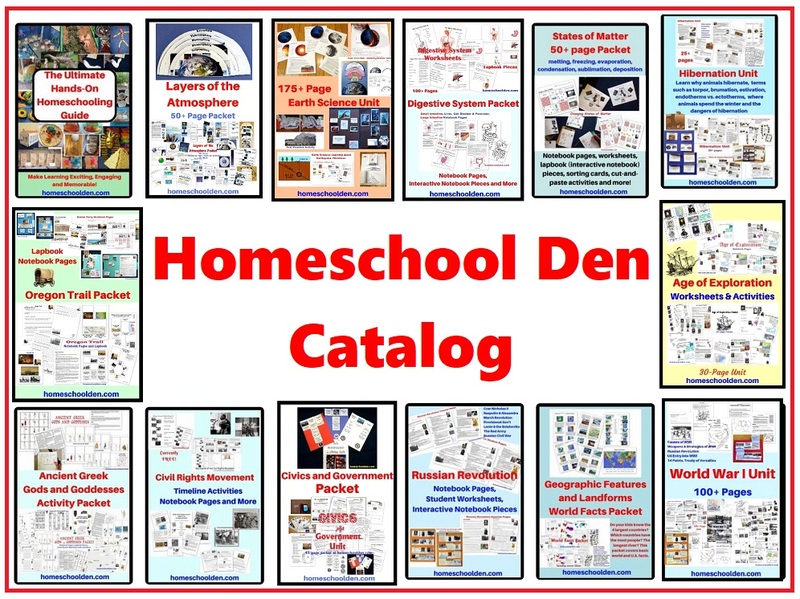 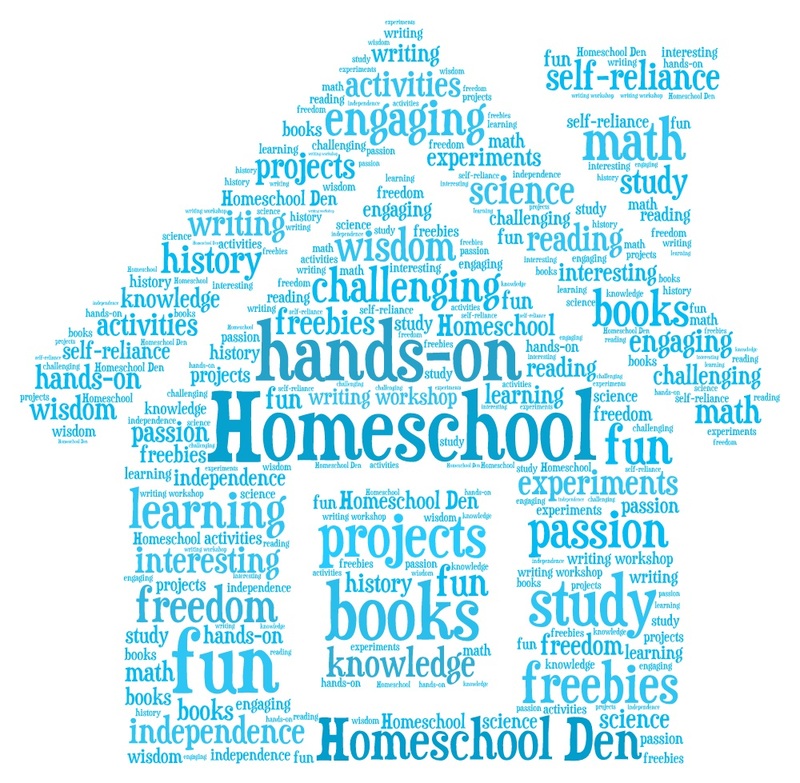 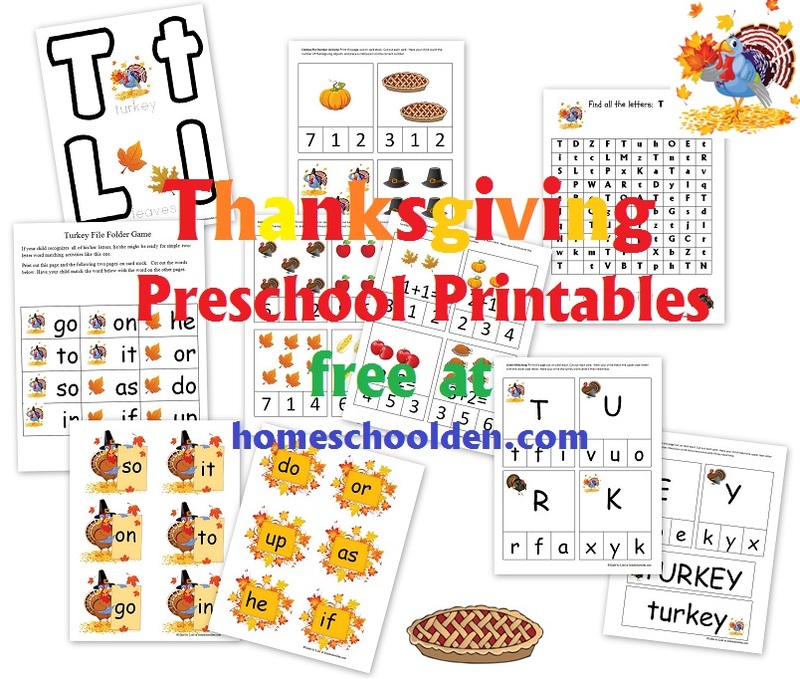 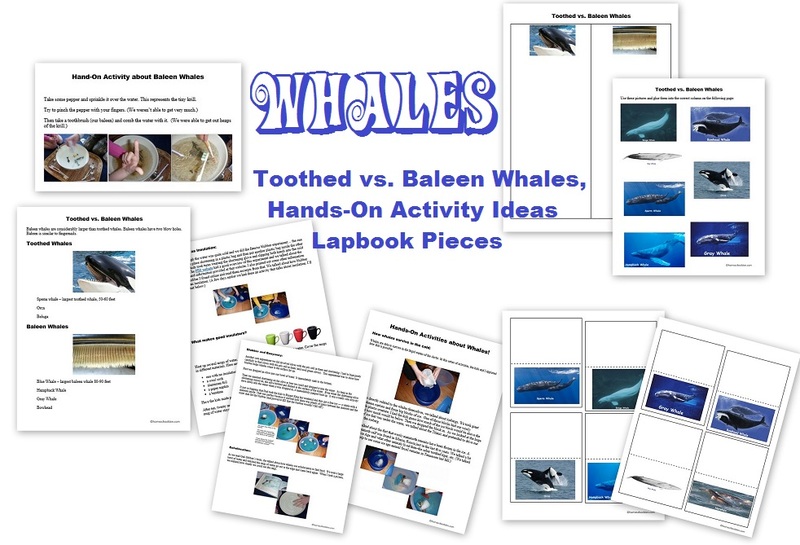 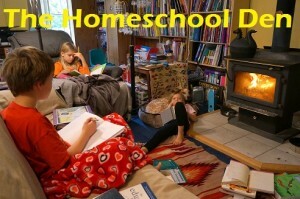 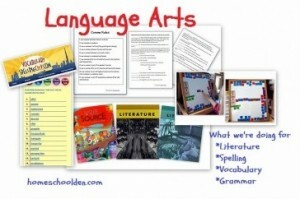 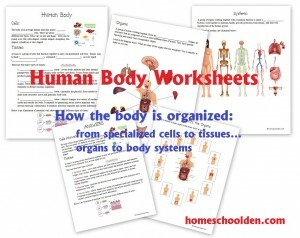 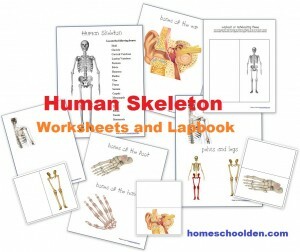 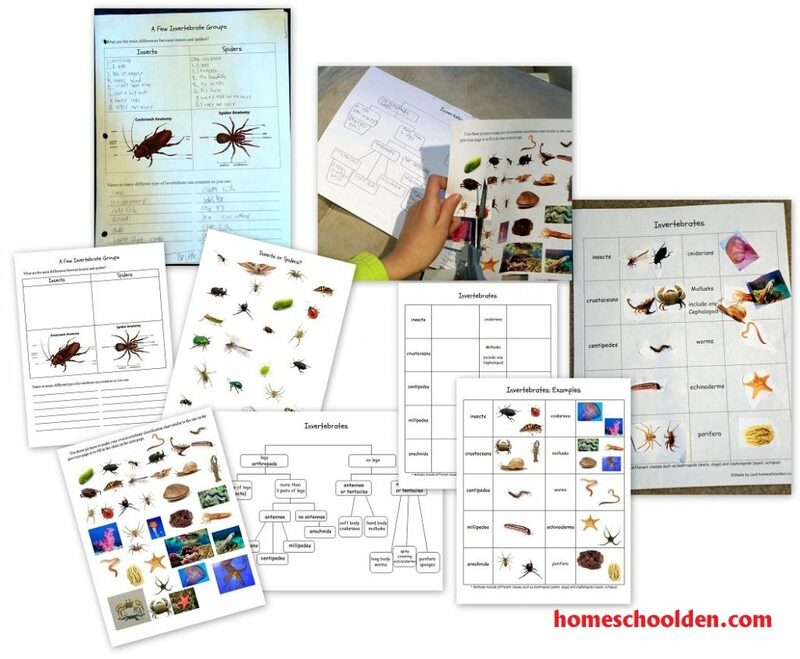 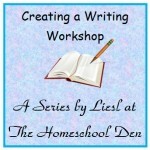 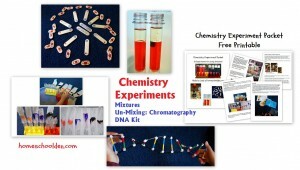 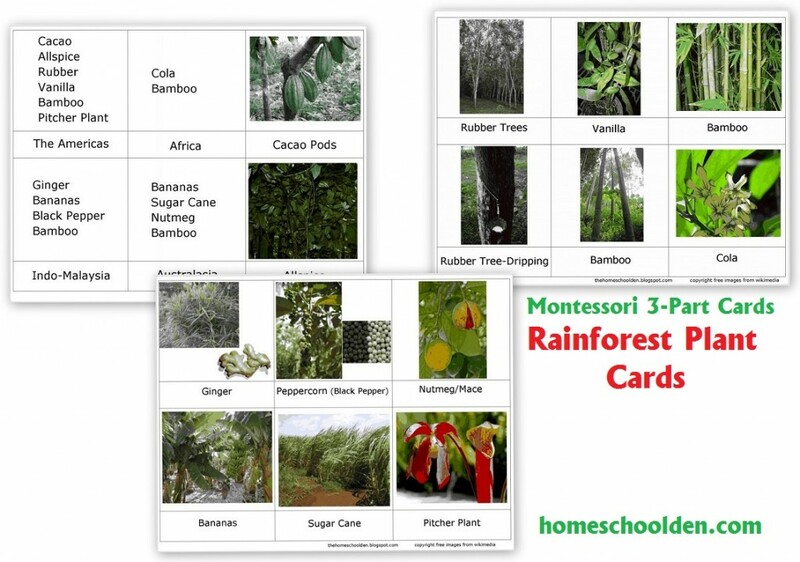 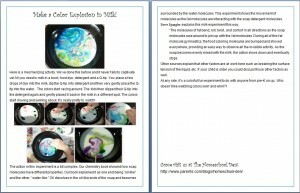 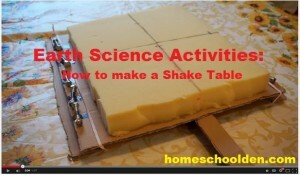 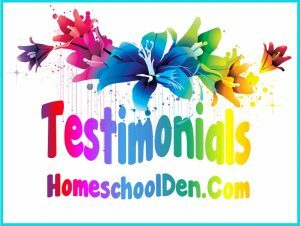 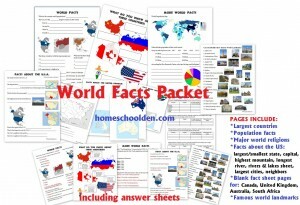 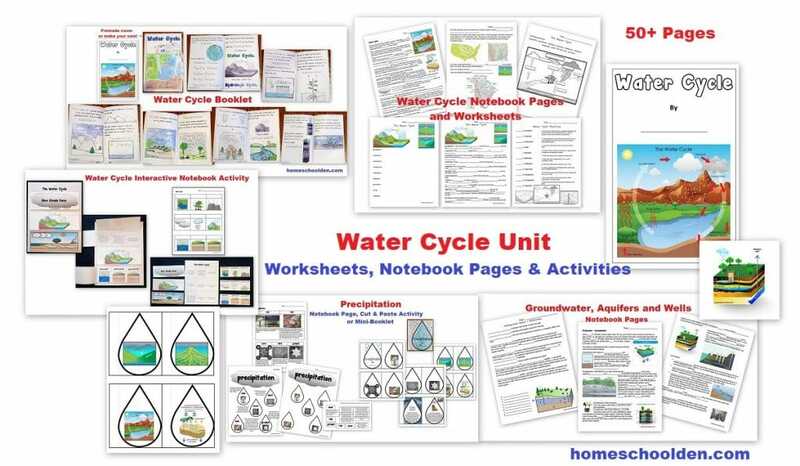 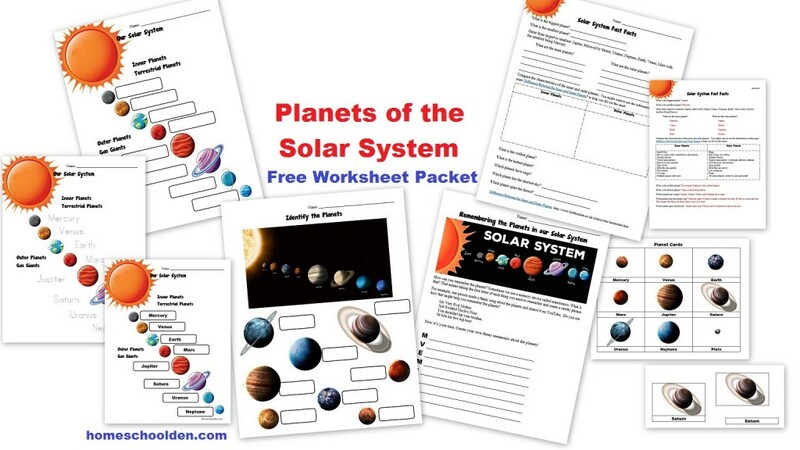 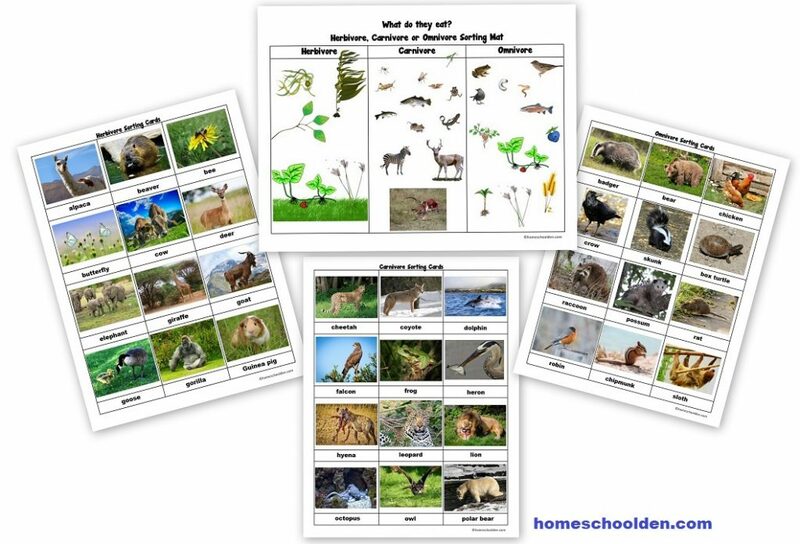 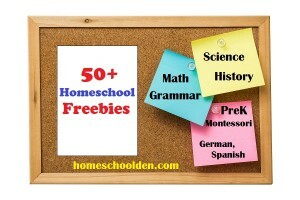 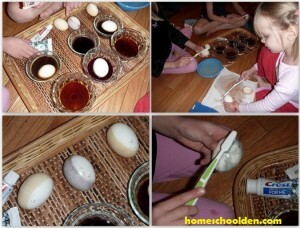 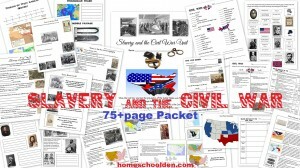 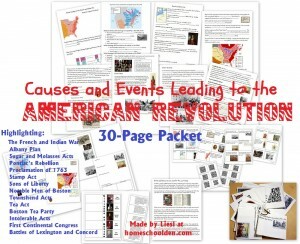 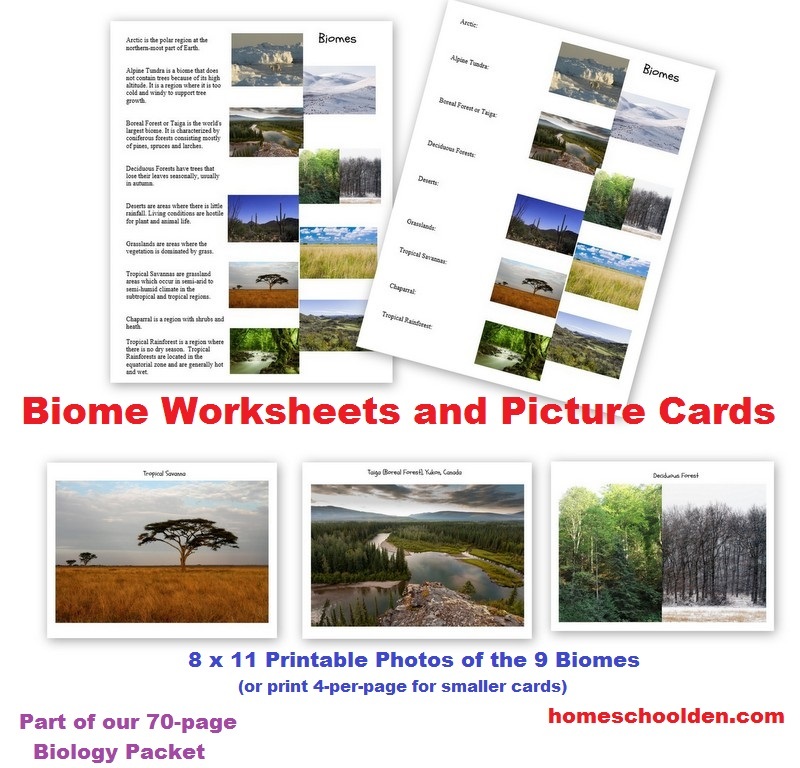 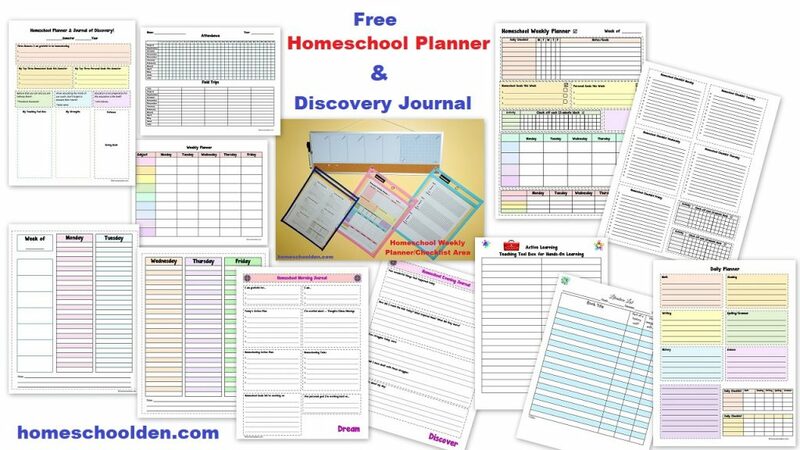 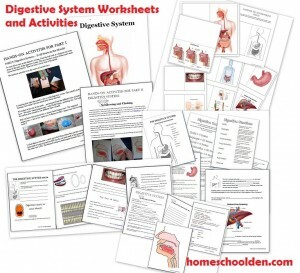 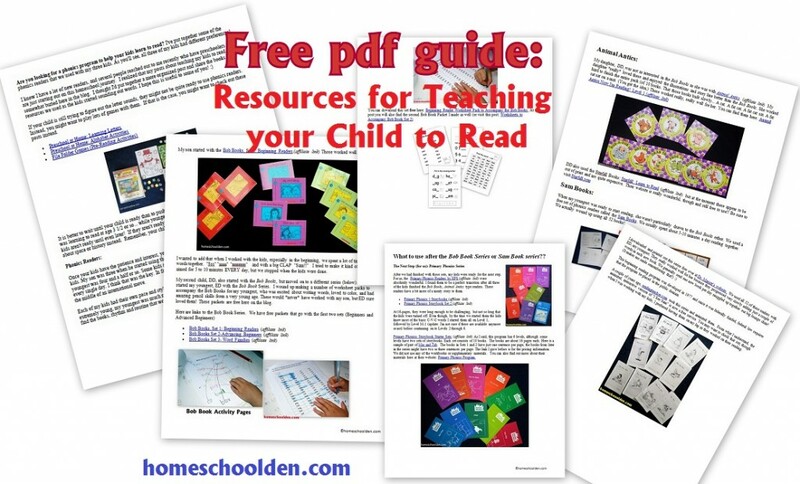 Be sure to visit us at our Homeschool Den Facebook Page! 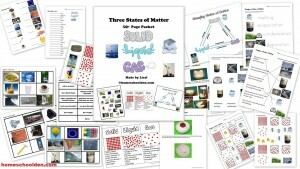 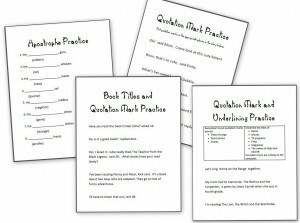 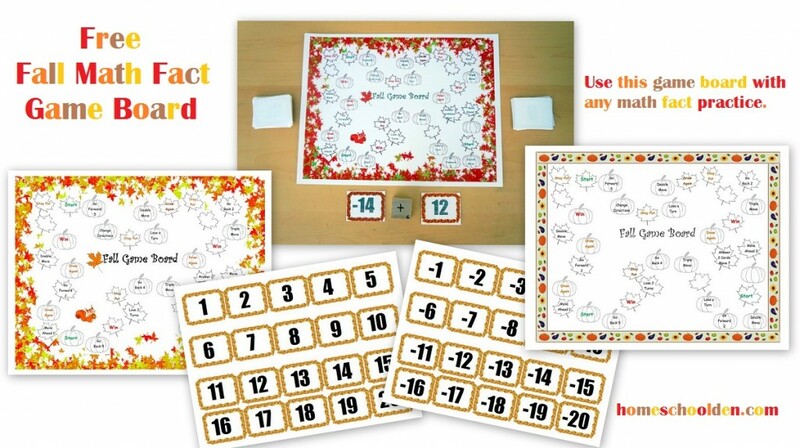 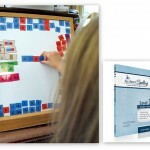 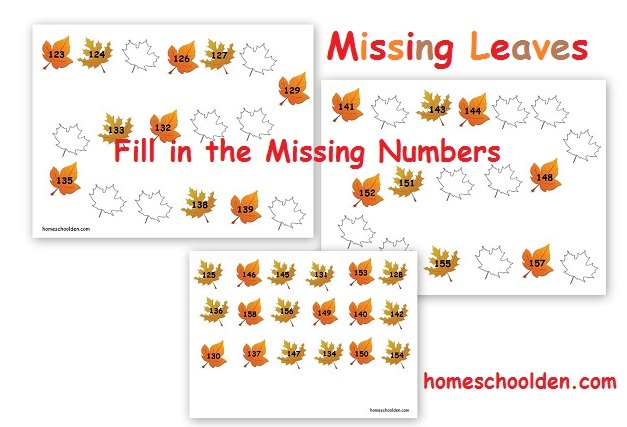 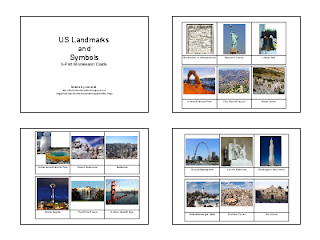 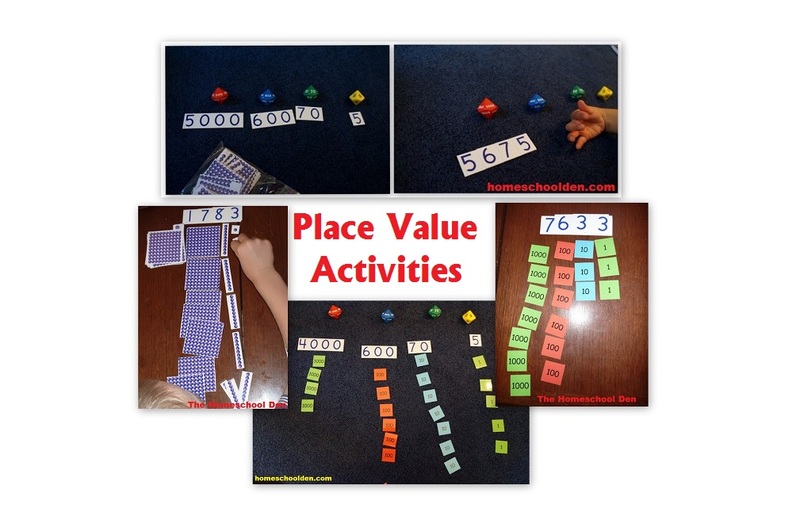 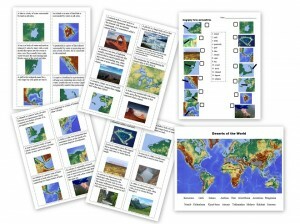 Free Fall Math Game Board – Use this game board for any type of math fact practice. 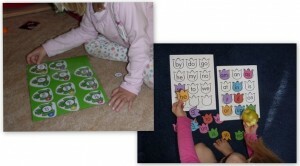 Players move around the board until one person lands on the WIN space. 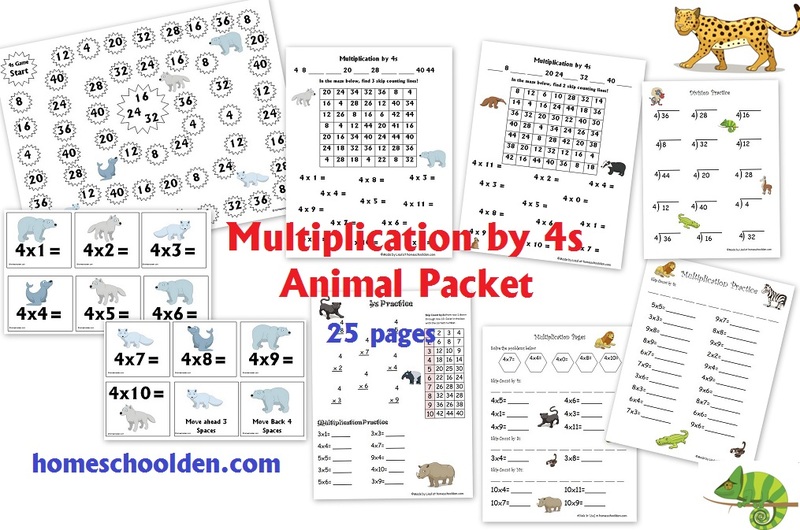 My oldest used this to add positive and negative numbers… but you can use this for number recognition, easy addition, subtraction or multiplication problems.